When frontal cortex abnormalities keep schizophrenia patients from performing cognitive tasks, it could be useful to stimulate cerebellar neurons to “rescue” these functions in the frontal cortex, a new study suggests. Portions of the frontal cortex can be dysfunctional in people with schizophrenia, leading to cognitive deficits that affect memory, attention and planning. A new study published March 28 in the journal Molecular Psychiatry suggests that these deficits may stem in part from failed interactions between the medial frontal cortex and another part of the brain called the cerebellum. The findings suggest that stimulation of the cerebellum could be useful in future attempts to alleviate the cortical dysfunction--and its resulting impacts on cognition and behavior--associated with this brain abnormality in schizophrenia patients. The connection hinges on a type of brainwave called delta frequencies or delta waves. In their work with rat models of the disease, the study authors found that both frontal cortex and cerebellar neurons are active during an interval timing task (an indicator of planning and attention capabilities), and that these two regions of the brain interact during this task via delta frequencies. The researchers also found that patients with schizophrenia have dysfunctional delta rhythms in the medial frontal cortex. 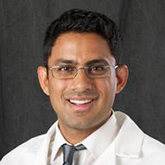 In a final experiment, the research team, led by Nandakumar Narayanan, M.D., Ph.D., a 2012 Young Investigator, showed that they could optically stimulate cerebellar nerve projections to successfully restore impaired cortical processing and improve interval timing performance in rats with a model of schizophrenia-like cognitive deficits. First author on the paper was Krystal Lynn Parker, Ph.D., a 2013 NARSAD Young Investigator. Dr. Parker was joined on the paper by Nancy C. Andreasen, M.D., Ph.D., a BBRF Scientific Council Member, 2000 Lieber Prizewinner, and NARSAD Distinguished Investigator in 1993 and 1997, and Youngcho Kim, a 2014 NARSAD Young Investigator. All are at the University of Iowa.